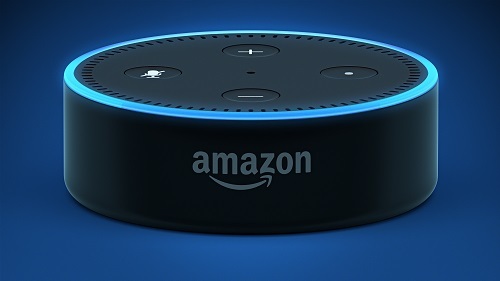 Alexa (named after the ancient library of Alexandria) is Amazon’s voice-control system. It lets you speak your wishes or commands to a 'smart' speaker & see them fulfilled—anything from checking the weather, reminding you to do something at a certain time, playing music, getting the latest news to thousands of other requests. Once you get used to the quirks, using Alexa feels much more natural & responsive than speaking to a phone-based voice assistant like Apple’s Siri. As a result, you’ll likely find yourself using your phone less frequently when you’re at home. Amazon Echo has a stand-alone speaker that can hear you at a moderate distance so you can speak your wishes from almost anywhere in the room where the speaker is. There are several kinds of Echo devices on the market. All of them offer the same Alexa features in different packages with features that might interest different kinds of people. Click here to find out some of what Alexa can do!